The anxiety of purchasing real estate in Canada is getting addressed with transparency. TORONTO, ON, CANADA, July 10, 2018 /EINPresswire.com/ -- A 3-Bedroom Townhome in King West, a luxury condo apartment in West Toronto, and 51 acres of eco-paradise in Northern British Columbia. What do these all have in common? Well, until recently, they would all have been properties near impossible to purchase without getting into bidding wars, or blindly guessing at what price to pay. With the growing popularity of online auctions however, all three of these properties are now available for purchase through a transparent bidding process that was created nearly a year ago by two Toronto realtors and entrepreneurs. On The Block, a premium real estate brokerage and auction house based in the Toronto area, has listed three new properties for auction. First, in one of the most sought-after areas in Canada, a three-bedroom condo townhouse with parking in the heart of the trendy King West neighbourhood is listed to be auctioned on Tuesday July 17. The property at 12 Sudbury Street boasts a huge rooftop terrace, spacious rooms, and is walking distance to absolutely everything. For the smaller space property hunters, a near 700 square foot condo apartment next to Sherway Gardens Mall is being auctioned as well on Monday July 16. This unit at 205 Sherway Gardens Road is not only the builder’s model, fully upgraded in every way, but also comes equipped with TWO parking spots. 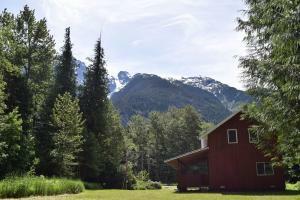 Perhaps the most unique of the properties is a breathtaking 51 acre eco-tourism paradise in Bella Coola, BC. It has over 600 meters of riverfront, several existing structures, includes three boats and more. It will be auctioned on Wednesday August 15. In all three cases, the auctions will take place at On The Block’s auction platform which can be found at www.getontheblock.com. Bidding will be live for the whole day on each auction day, and all users will be able to see the high bid so that they can make truly informed decisions about what to offer. 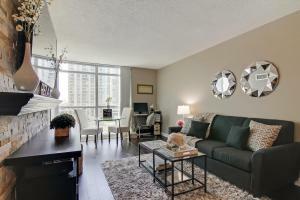 The Toronto auctions will be the first of their kind for resale condos in the GTA. Registered users will be able to access all sorts of information for the properties, considerably more than through traditional listings. Although the properties are all still listed on the local MLS system, the On The Block website allows more pictures, more description, and the opportunity to download everything from home inspections, to status certificates, to the actual purchase agreements for the properties. Understanding that there are potential buyers who won’t want to wait until the auction, there is still the opportunity to make an offer before the auctions begin. For this reason, it is still possible that the properties may not be available on auction day. As the Toronto real estate market is once again ramping up, and blind bidding wars have started to reappear, families looking for their new home are experiencing the frustration that took over in 2017. “It is ridiculous”, says Al, a father of two, who has been trying to buy a new home for months. “We have had no idea what price to offer in these bidding wars, and we’ve already had one instance where the final selling price was less than we were willing to go – had we known.” With a transparent auction, all bidders will know exactly what price to offer to be in the lead, and while it will ensure the seller gets the best possible price, it also will ensure that every buyer is comfortable and confident with their decision. Registering to view all the auction details is easy and has no cost. Bidding is also free; however, security measures are taken to ensure that no false bids are placed, including a pre-authorization on a credit card that only charges a user in the event of such a ‘delinquent bid’. Viewings of the home can be booked either through a buyer’s Realtor, MLS or on the auction pages at www.getontheblock.com. There are high end videos and 3D tours of each property, a traditional open house for the property on Sudbury Street, as well as a unique ‘Facebook Live’ open house to be done at both the Sudbury and Sherway properties. Offers will be considered until the auctions open at 9:00am on their respective dates. Bidding will close at 8:00pm on the same day. 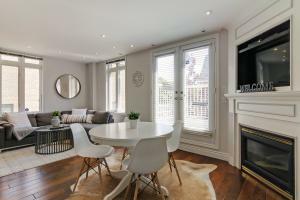 A look at the King West lifestyle at 12 Sudbury, Unit 1811.